If you are thinking about buying a website, you want to ensure you are paying the right price for it. If you are selling one you already own, you need to make sure you know the real-world value. Not only will you be able to maximize the asking price, but you’ll be able to guarantee that you aren’t leaving money on the table. Analytics is absolutely critical to figuring out the health of a website. While there are quite a few different stat tracking services, very few are as reliable and as accurate as Google’s Analytics. Many sellers have, unfortunately, learned how to manipulate the metrics in many of those stat tracking services. This means you need to be even more knowledgeable and experienced in order to spot inaccuracies. Analytics is much harder to manipulate, and gives you deeper metrics, helping you understand where the traffic is coming from and how that traffic is interacting with the website. This helps you ensure that the website is, at least, legitimate. Alexa may not necessarily tell you how much a website is worth, but you can use it in different ways. The key to making a good investment, whether you’re buying or selling, is to understand how the website compares to others in the same industry, and to verify whether or not the metrics you’re being told are legitimate. If you’re selling a website, you need as many points of data as possible to verify what the website is worth and help justify that price to your investors. Alexa gives you unique insights into how your website is positioned against other websites in your industry. It helps you understand your core demographic better — a metric that investors are going to want to see to determine if there is potential to make more money. When it comes to traffic sources, organic search engine traffic and referral traffic helps make a website incredibly valuable. Both of those metrics require a fairly large number of backlinks pointing to the website. Search engines use backlinks as the primary factor to determine rankings. 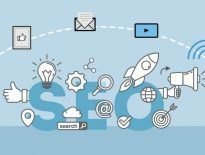 With a large number of links pointing to your website (or the website you want to buy), there will be traffic coming into the site that can be sustained if something happens and you lose rankings in the search results. One of the best tools to determine how strong a website is, and how well it will rank in the search results, is Open Site Explorer. Ahrefs is a website similar to Open Site Explorer in that it helps you figure out how strong the website that you’re wanting to buy or sell is, but it gives you a few different metrics that Open Site Explorer doesn’t offer. 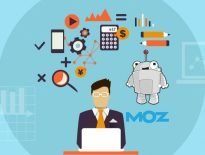 For instance, Ahrefs is more known for figuring out how the website ranks in the search engines, which keyword queries it shows up for, how high it ranks, and where the traffic is coming into the website from. Even though some of the data may be similar between Open Site Explorer and Ahrefs, it gives you a second data point that you can use to validate the statistics that you’re already looking at. If the website you’re wanting to buy may be overpriced, or at the higher end of the spectrum, or you are trying to sell a website for the highest price possible, the more data you can give to an investor that they can compare and validate your claims, the better you’re going to be. 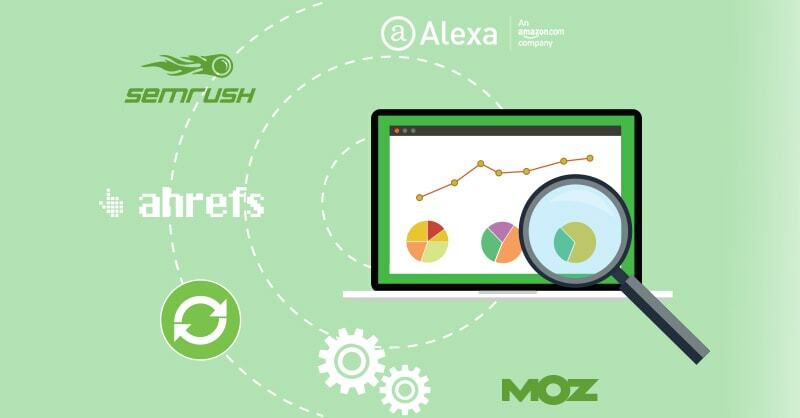 SEMRush is a hugely valuable tool for analyzing a market segment and identifying the potential for growth. It is effectively a one stop shop research solution for informing your digital marketing efforts. It’s easy to use and interpret — which is a definite bonus if you are new to owning and running a website. By having reliable market data on hand, you can react quickly and make informed, data-backed decisions regarding your digital marketing strategy. SEMRush is also very handy for highlighting any bad or black hat link building practices that a previous owner may have used. You don’t want to buy a website only to find it gets slammed with a Google penalty because of the actions of a previous owner. Despite having these tools at your disposal, you still need to ensure the website you’re thinking about buying is not only profitable but also sustainable. Banned Check: If you are looking at buying an AdSense website, then using this tool is a must. If the site has previously been banned from AdSense that could immediately leave your digital empire building dreams in tatters. Ensure you check it out on bannedcheck.com before you buy. Google Trends: Google Trends identifies whether you are potentially buying into an industry that is near the end of its life. Websites are often sold because the owner knows their niche is nearing the end of its life and there is little money to be made in the future. Google Trends will help identify whether or not you are buying into a niche that is on a downward trend. Built With: BuiltWith.com Search engines use backlinks as the primary factor to determine rankings, and with a large number of links pointing to your website (or the website you want to buy), there will be traffic coming into the site that can be sustained should something happen and you lose rankings in the search results. At the end of the day, figuring out your website’s value requires you to compare it against other, similar websites that have sold in the past, and figure out how well yours stacks up to them. It does require a bit of experience but, for a site you’re selling, you can judge how well your website is priced based on how easy it is to attract investors. Likewise, if you’re buying a website, you can figure out how well the website is priced based on the revenue it is generating, and the level of interest from other investors. Jock is the founder of Digital Exits, an online brokerage service. He is a successful internet entrepreneur and is passionate about helping other entrepreneurs do business online. Find him on Twitter at @PurtleJock.